It’s Hangover Thursday, how’s your head? I know it’s been a very long time since we’ve run a Hangover Thursday. One of the biggest reasons is I just haven’t had the time to hang out at bars as much as I used to. Drinking out at the bar is also way more expensive than sitting at home and cracking a few open with friends. I went out to watch some hockey on Sunday and bought the most expensive bottle of beer I’ve purchased. The back of the Black Ops bottle reads: Brooklyn Black Ops does not exist. However, if it did exist, it would e a robust stout concocted by the Brooklyn brewing team under cover of secrecy and hidden from everyone else at the brewery. Supposedly “Black ops” was aged for four months in bourbon barrels, bottled flat, and re-fermented with Champagne yeast, creating big chocolate and coffee flavors with a rich underpinning of vanilla-like notes. 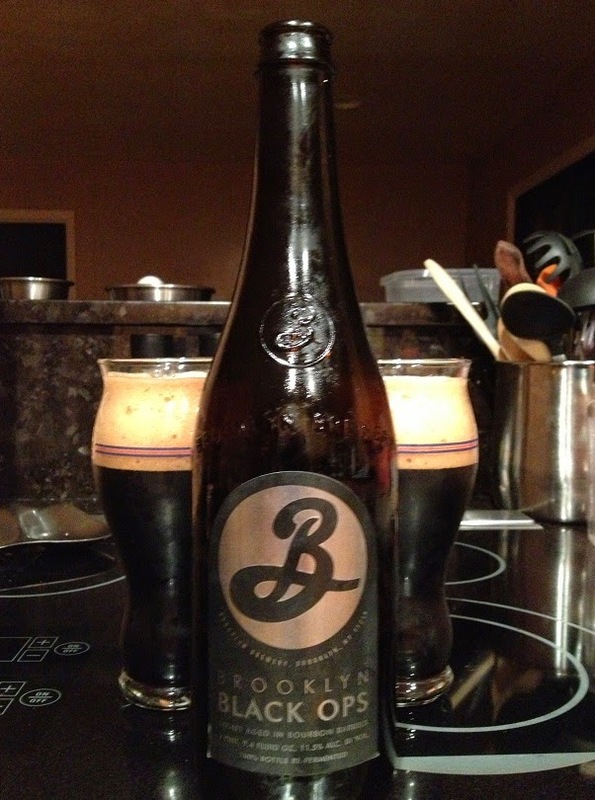 So every year Brooklyn does a very limited run of Black Ops and every year the beer is a little bit different. I had a bottle from the 2013 batch which had an ABV of 11.5%. I’m a big fan of Russian Imperial Stouts anyway, so I was very excited about this one. So how was it? The first thing I noticed was how strong the bourbon smell was. I expected that smell to carry over to the taste but it didn’t. What I got was a smooth chocolate stout up front followed with that bourbon kick. You tasted that 11.5 in the end, but it was never overpowering. I don’t know that I’ll ever see a Black Ops in the wild again. I enjoyed my first though. It was not my favorite stout but if the price was right I’d certainly pick up another bottle or two.